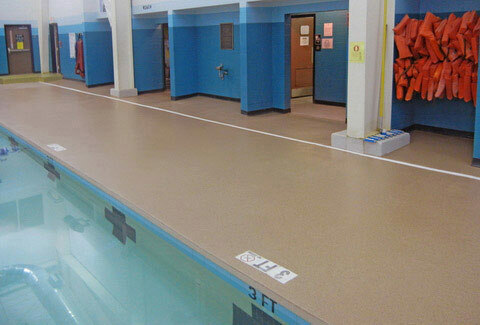 Always slip-resistant even in slick or wet conditions, Everlast® Epoxy flooring is the perfect solution for sports and aquatic spaces like pools, parks and locker rooms. 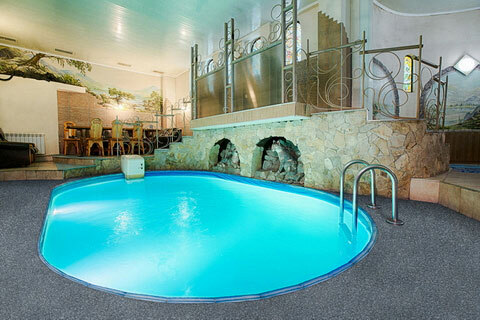 Our floors can be installed indoors, outdoors, and even underwater, with chlorine-resistant Outdoor Tough and Natural Stone options for some of the toughest spots. Everlast® Epoxy Flooring is available in 42 colors so you can find the right match for your space. suitable for any décor. And if you’re committed to “going green?” Choose from one of our eight colors of recycled flooring, perfect for any space. Everlast® Epoxy also offers custom design services and can transform virtually any design, logo or branding asset into a stunning floor for your space. Just ask! The more foot traffic you’ve got, the more flooring surfaces naturally succumb suffer to wear and tear. Everlast® Epoxy flooring is built to save you time, resources and money by resisting fading, scratching, cracking and breaking now and years from now. 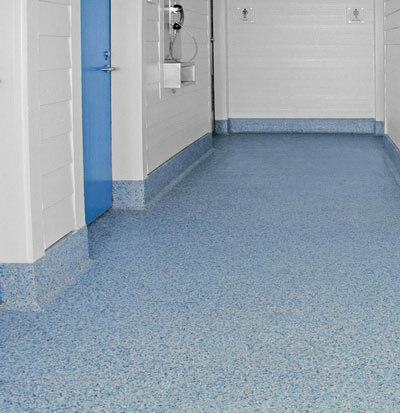 Because our epoxy is made with superior resins and the proper amount of aggregate, flooring is 160 mils thick—and that makes it incredibly strong and durable. It’s hard to keep aquatic spaces and rec centers clean and hygienic—we get it. 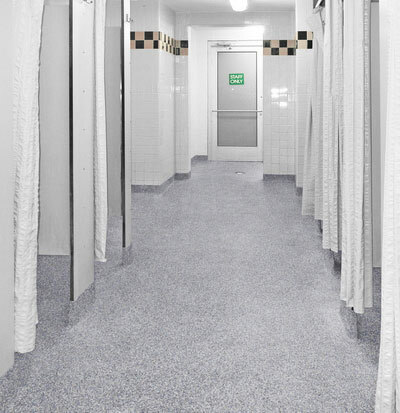 With an EPA-registered antimicrobial mold inhibitor formula throughout our epoxy system, our floors naturally impede the growth of microorganisms, providing long-term protection from a broad spectrum of bacteria, fungi, yeast, actinomycetes, and mildew. While many other floors offer this protection, it’s typically on the surface only—too much use or a puncture can breach the surface and lead to growths and odor. You don’t want swimmer, rowers or boaters slipping and falling on your surfaces. 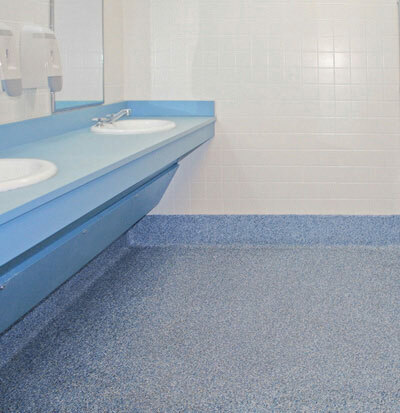 With its uniform, resin-rich, troweled-on system, our flooring forms a physical bond between the material and the surface and melds them together. 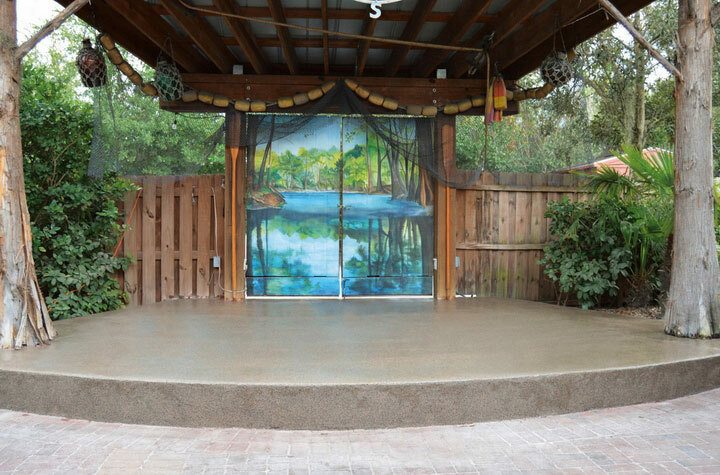 The end result is a clean, continuous surface that’s 100% non-porous, waterproof, and self-containing. And because Everlast® Epoxy is chemically-resistant to urine, strong detergents, and disinfectants, you’ll get the waterproofing you need without the heavy maintenance and labor most surfaces require. Our Outdoor Tough and Natural Stone are perfect for outdoor areas, especially areas that require waterproofing and anti-slip measures. Get in touch to learn more.